A greater focus on pronunciation when teaching English to new migrants could help improve their employment prospects, according to research from Victoria University of Wellington's School of Linguistics and Applied Language Studies. Marty Pilott, who graduates this month with a PhD in Applied Linguistics, says learning English and finding work are top priorities for most new migrants to New Zealand, but the way some newcomers speak could be holding them back from getting a job. 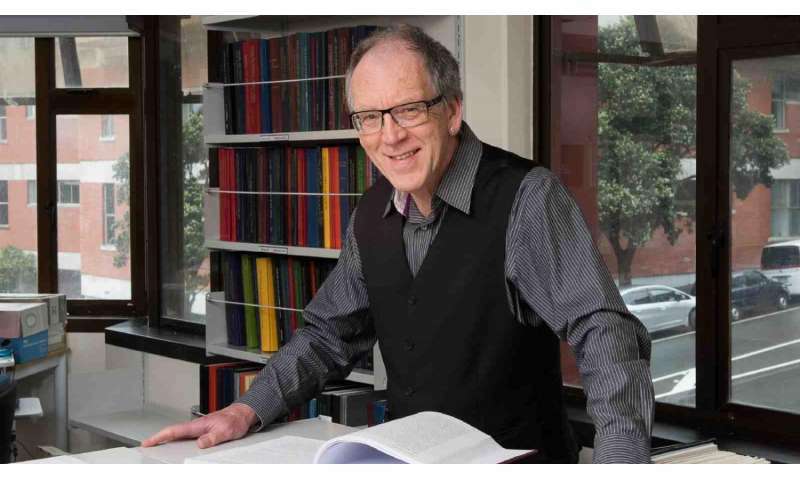 He analysed how acceptable migrant accents are to New Zealand employers, and has shown that poor pronunciation has a negative impact on a person's perceived employability. Marty conducted mock job interviews with 40 migrants, which he recorded and then used in a survey of 95 employers. "The survey asked questions about various aspects of the way the migrants spoke in the recordings," explains Marty. "This included where the survey respondents thought the migrants came from and what they thought about the interviewees' pronunciation." He says pronunciation is a neglected aspect of language teaching. "It's the area that teachers are least well-equipped to teach, it's the aspect of language teaching that's taught the least, and it's the area students are most reluctant to spend time mastering. It's also the aspect of language that non-native speakers are most likely to be judged on when they first meet someone—socially speaking it's a high priority so it's strange that it's given such a low priority in the classroom." Marty says there needs to be a greater emphasis on pronunciation—and fluency in particular—when English is taught to non-native speakers. "It's not enough if a teacher's goal is simply to produce people who are intelligible, because that doesn't meet the students' probable goal of getting a job. They could be intelligible but speak with lots of 'ums' and 'ahs', or very slowly, or in a very choppy way, which can be distracting," he says. "If you've got a beginner who speaks no English, it's often presumed they don't need to be fluent until much later. But that's not true—they can learn to say phrases quickly and with appropriate intonation, which can help them make a better overall impression." Marty has a background in teaching English to Speakers of Other Languages (ESOL), and has even written a book about teaching languages. He completed his PhD research while working part-time at Whitireia where he is the ESOL programme manager. He has always had a love for languages. "At secondary school I studied English, Latin, French, German and Spanish, which I've kept up over the years since. I lived in Iran for a year in my twenties, so I can speak Farsi, and since living in New Zealand I've learned to speak Māori, too." He says he'd like to learn Icelandic next. "I have read translations of Lord of the Rings in French, German, Spanish, Dutch, Italian and Portuguese, and have recently acquired an Icelandic version, so that's next on my reading list. You could say learning languages is a hobby of mine!"